An excellent opportunity awaits an open-minded confident Mobile Application Developer with an established software development company offering its services into the digital space. If you are excited by being involved in the development of new digital concepts, are highly inspired and can work independently as well as in a team, this new position may be for you. Alcobyte is a software development company having a strong client base across the globe. We have well-set plans that are focused on digital technology and in the process, are seeking a person that have the aptitude, ambition and professional approach towards their career. The successful candidate will work closely with product and design team to advocate clean and beautiful design. You crave a strong tech culture and love experimenting and prototyping new features. 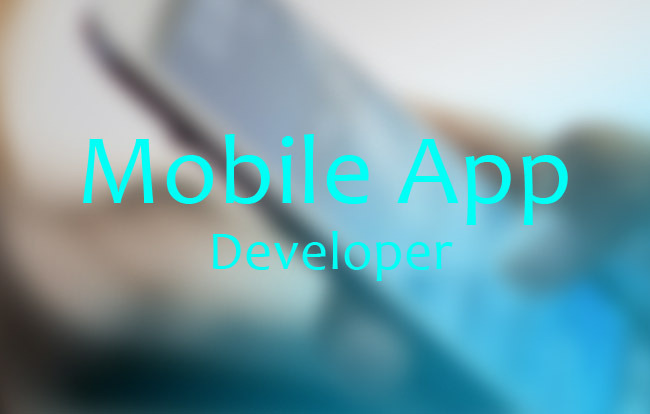 You love designing and building high- quality code and mobile applications. At least 2 years’ practical experience in a reputed mobile application development environment. Experience working with Python or C#, Cocoa Touch, Java etc. Working knowledge with technologies such as SQLite, JSON, SOAP, XML, REST. Able to provide a high-quality folio of sample works at client office and can explain the challenges come across and deliberations as to how those challenges were overcome. If you have the technical skills and believe that you can make a positive impact to our team and provide innovative solutions to our clients we would like to hear from you.